While planning any trip is a daunting task, planning a transcontinental trip is even more so. However, have no fear, ParisByM is here to help. 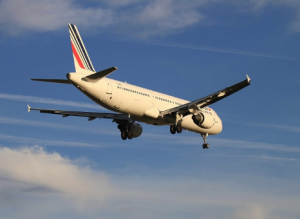 There are several sites designed to help you find the best rates on a wide array of airlines when booking a flight to Paris. Fortunately, there are a multitude of airlines that are more than willing to go the extra mile to make your long flight as comfortable as possible. There are several options for flights from Asia for travelers who are looking to save money on their trip. These flights are significantly cheaper than many of the options out there. Keep in mind that these airlines will not offer all of the luxury seating options for flying to Paris. These flights have fewer meal/snack options as well and may include two or more layovers. For what they lack, these flights make up in price in flying from Asia. Round-trip flights start as low as 520€. Tickets in this price range are longer with at least one layover. Depending on the season you book your flight for, the price may fluctuate up or down. 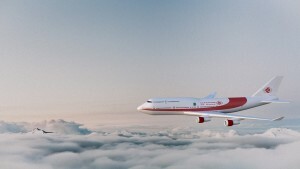 Some airlines that offer these kind of long distance, low cost travel are: Aeroflot, Air China, and Air Berlin. Travel websites like Flight Centre, TripAdvisor, Expedia, and Kayak can help you find which airline is the best option for you and see competitive prices. If it’s in the cards, why not spoil yourself? There are certain advantages when flying first class, such as in flight luxuries, the ability to check more luggage, and access to first class lounges. These first class options offer luxurious seating options with chairs that recline fully and full dining options. Certain airlines like Etihad Airways, SWISS, and British Airways offer similar luxuries for business class seats. Prices start around 5000€ for a round trip ticket. Remember the sooner you book your flight the better rate you are going to get. Studies suggest that when you book your tickets six to eight weeks before you want to leave for your trip, you will find the best price. 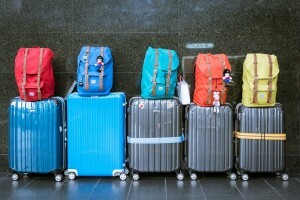 Make sure that you look up the specific regulations for check-in, luggage restrictions, and security measures for the airline you are planning of utilizing. 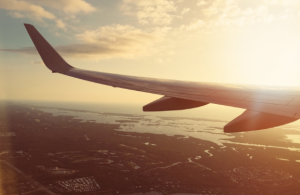 While we are able to give generalizations of common regulations, each airline is a little different and you will want to be prepared before your departure. Flights to Paris can seem awfully far away, especially when there is over 24 hours of air travel involved in flying from Australia. It’s true for our Aussie friends that flights to Paris could be a lot easier. Fortunately, there are a multitude of airlines that are more than willing to go the extra mile to make your long flight as comfortable as possible. In flying from Australia these are good options for travelers who are looking to save some serious money. These flights are significantly cheaper than some of the other options out there. Keep in mind, however, that these airlines will not offer the same luxurious seating options in flying to Paris. These flights have fewer eating options and may include two or more layovers. For what they lack, they sure do make up in price in flying from Australia. Round-trip flights start as low as $2,000 AUD. Depending on the season you book your flight for, the price may fluctuate up or down. Some airlines that offer these kind of long distance, low cost travel are: Qatar Airways, China Southern Airlines, and Air Berlin. Travel websites like Flight Centre, TripAdvisor, Expedia, and Kayak can help you find which airline is right for you and see competitive prices. A flight that is longer than 24 hours can definitely warrant a first class seat. Why not spoil yourself? These first class options offer luxurious seating options with chairs that recline fully and full dining options. Certain airlines like Singapore Air, Thai Air, and Air China offer similar luxuries for business class seats. Prices start around for a round trip ticket at $11,000 AUD. trip up so you will have two sections of flight (generally around 10 – 12 hours each) instead of the 22-26 hours that these flights may take as a whole. While planning any trip is a daunting task, planning a transcontinental trip is even more so. However, have no fear, ParisByM is here to help. There are several sites designed to help you find the best rates on a wide array of airlines when booking a flight to Paris. We have compiled the main aspects of the most common airlines flying from Mexico and Central America to Paris. There are several sites that boast their ability to aide you in finding the best rate for your flight to Paris. 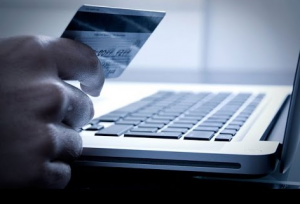 Some of these sites include: Kayak, SkyScanner, Expedia, and Orbitz. When booking a flight to Paris the best option to obtain the best price is to shop around. In flying from Mexico and Central America there are an array of airlines who either fly direct or have stopovers on their way to Paris. When flying from Mexico and Central America, round trip flights tend to start around $1000 USD or $18500 MXN. Price fluctuates depending of the season and time of year you are booking your trip. For instance in the month of July and August, tickets are going to be more expensive, because there is a high demand due to vacation travelers. In flying first class, there is access to a certain level of luxury. This level of luxury comes with, generally, a steep price tag. 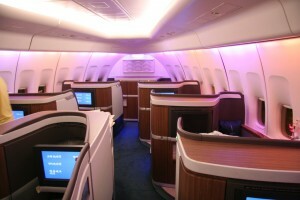 Prices for first class generally start at $7000 USD or $ 129600 MXN and go up from there. There are certain advantages when flying first class, such as in flight luxuries, the ability to check more luggage, and access to first class lounges. Companies who offer first class include, but are not limited to, Lufthansa, AirFrance, Delta, and BritishAir. As the name suggests the economy class is the more economic, budget friendly, option for flying. Prices, for a round trip ticket, in the economic class tend to begin at $1000 USD or $ 18500 MXN. While flying economy is not as luxurious as flying first class, there is a level of quality and in flight serves generally offered on transcontinental flights. For longer flights this usually includes beverage service, a meal, and inflight media. Companies who offer economy class seating include, but are not limited to, AirEuropa, KLM, Lufthansa, AirFrance, Delta, and BritishAir. The most common airlines that fly transcontinental (and to Paris) are international airlines such as: AirEuropa, KLM, Lufthansa, AirFrance, Delta, and BritishAir. Flying direct from Mexico and Central America tends to be difficult to find both to and from Paris. Usually there is a stopover for a connecting flight.